I know so many writers who have had trouble getting words on the page since the election. Honestly, when it seems as if the world is imploding around us, our own dreams and passions can feel like an indulgence. But that's simply not true. Books open doors to new worlds and new ideas. It's clearer than ever that our world needs that. So we must write. And our responsibilities as writers of young adult fiction have grown with the rise of hatred and xenophobia around us. If we can instill a greater understanding of the world at large, we can create better leaders tomorrow. As a writer with no book deal in hand (yet! ), I wasn't keen on expending a lot of resources on a fancy design. But I decided that a new logo with a strong message could be a powerful reminder to myself about why I do what I do. I wanted it to reflect my commitment to writing as a means of making positive change. So I called up Vin, founder of Fabler & Design (and my sister). I said, "Hey, do you think you can make me a logo that is beautiful and elegantly captures the theme 'Writing my Resistance'? Oh, and on top of that, can you bring in elements of my Indian identity?" 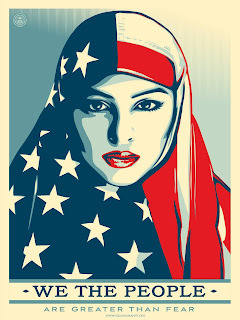 I was inspired in part by the Shepard Fairey resistance posters that have been everywhere. 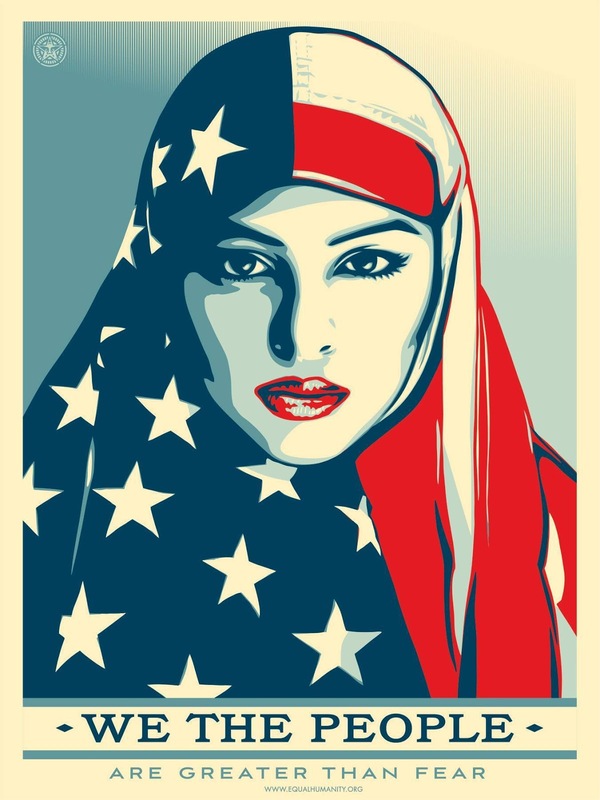 I love how he has so easily captured patriotism and diversity together. But what he makes look effortless is no easy feat, so I knew that Vin had her work cut out for her. Her first idea was beautiful, incorporating the Hindu Goddess Saraswati as a muse. Yet I had trouble easily translating it into the theme. We tried adding more elements to make the messaging clearer, but the added complexity was only making it more muddled. We decided to take a step back and try a simpler approach. The header above is what Vin came up with on the second try. It captures everything I wanted to convey, with elegance and simplicity. I love how fierce the girl looks and how words flow seamlessly out of her head. (I wish my novels came out so easily.) We chose quotes by writers and leaders that honed in on the themes of books as weapons, writing as a means of identity, and the importance of taking a stand. Take a closer look. I hope it inspires other readers, writers, and dreamers out there. I know it will keep me pushing along on this journey! If you like the design and you want to make a change to your own site, please contact Vin at Fabler & Design. Her current pricing for a new custom art logo is only $295, and as you can see, it can transform even a simple blogger account.